Love the shine you get from a lip gloss, but not the sticky feel. You can get ultra-shiny lips by following this little trick. Use a glossy Gel Stain (like Youngblood Shiny Lip Gel) over your liner or base lipstick in place of a traditional gloss. Gel stains have better lasting power, don't bleed and set into a high-shine, non-sticky finish! When you no longer have the choice of depending on just diet or exercise…both of which are really boring, even if they do help…but need the benefits of creams, lotions, and potions it's time to go in search of what to use, when and how. When looking for a topical skin tightening treatment, it’s important to understand the difference between topical agents that reduce the appearance of wrinkles and those that actually tighten the skin and reduce sag. Most of the time consumers begin a regimen consisting of only anti-wrinkle creams that only help smooth out wrinkles but not actually tighten the skin. Tip: When applying moisturizer, do it when your face is damp. This will cause the moisturizer to work that much harder and increase its efficiency. One thing to keep in mind is to steer clear of products containing “artificial collagen”. These products only provide a temporary result and don’t produce long term effects. Everyone knows our skin needs collagen to look younger and tighter. Once we hit 25, the production of collagen begins to slow down. It’s as if the factory is losing workers every year, and suddenly it just goes out of business and shuts down. 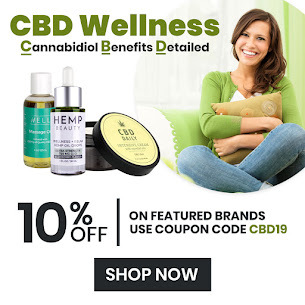 Products which contain DMAE (Dimethylaminoethenol) and Ubiquinone (also know as coenzyme Q10), work by helping your body produce the components (elastin and collagen) that once made your skin young and wrinkle free. Though you probably associate the word “acid” with harsh and abrasive, hyaluronic acid is the exact opposite. It’s a humectant, meaning that it draws out water from the air and dermis (the skin that lies below the surface). Look for a lotion that contains hyaluronic acid which can add to the moisturizer’s hydrating qualities and may even spur new collagen production. L-ascorbic acid is just a fancy word for “vitamin C.” Though vitamin C is a good-for-you ingredient that helps boost the immune system, it’s a little more complex when skincare is involved. Think of vitamin C as a wild card — extremely volatile and unstable. When exposed to air, it undergoes oxidation and becomes ineffective. When vitamin C is stable and good, it’s really good. 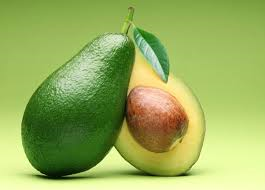 It’s an important antioxidant that helps build collagen, reduce inflammation, and promote elasticity to plump up skin. But how can you tell if vitamin C in a product is stable? Look for “L-ascorbic acid” in the ingredient list. If there’s one skincare product to swear by, it’s a broad-spectrum sunscreen with SPF 30 or higher. Avobenzone is a common chemical ingredient in sunscreen that blocks UVA rays. It’s often paired with benzophenone-3 or oxybenzone to shield against UVB rays. For maximum protection, apply a chemical sunscreen directly on skin before serum, lotion, or makeup. Hate the thought of chemicals? Go for a mineral block that contains titanium dioxide and zinc oxide. Beauty has no age limit. However, making changes to your make-up and color choices can help you to enhance your good looks and minimize the flaws age has created. The first solution: Change your color palette and erase years from your face. Hiding fine lines and wrinkles begins with a moisturizer. 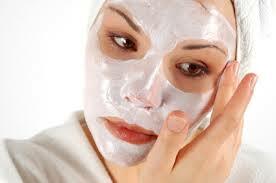 After you wash your face in the morning, apply moisturizer while the skin is damp. That will plump it up and even it out, helping makeup glide on. 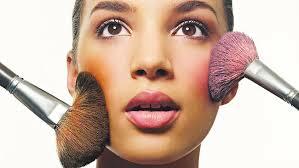 Packing on the makeup to cover lines or dark circles will bring out the creases." 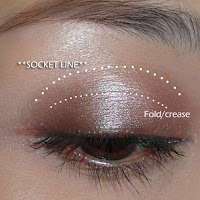 Avoid using heavy concealers that will look cakey around the eyes. Try Bodyography Skin Perfecter Concealer. It comes in six shades, so one will be perfect for you. Give yourself a youthful look by using lighter and darker shades to make hard lines soft and soft lines hard. 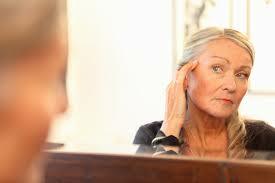 For example, work with a foundation that is one or two shades darker than your foundation to “lift” a sagging chin. Cover the darker area with a translucent powder. Brighten aging skin by using warm colors. Experts suggest using a foundation that is a half-shade lighter than your skin tone. 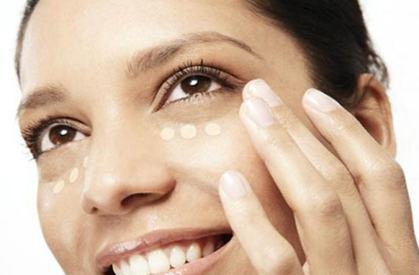 To dim dark circles under your eyes, apply foundation that's a shade lighter than your foundation to the area. Top it with a concealer and then add a loose powder to set the makeup and hide the color difference. Illuminators and bronzers can also add a sun-kissed glow. But don't overdo it; a bad fake tan can make you look older. Get a more natural glow by blending the bronzer into your moisturizer or foundation and then applying it evenly to your face. Jane Iredale's Glow Time BB Cream is a good choice for this. A loose powder just one or two shades darker than your skin tone can also add warmth. Soften your colors, focusing on neutrals and pastels. Ruby red may have been your signature lip color since your 20s. But as you mellow with age, so should your color palette. You don't want bright, vibrant colors that call attention to the eyes, lips, or cheeks because they will draw attention to damage and not blend with the skin.You can still stay with the harmony of your hair and eye color, just do it with softer colors. Black mascaras and eyeliners are appropriate around the eyes. If your hair is gray, you might try a softer mascara color, such as brown or gray. Eyelashes also tend to lose their volume and thickness over time. A volumizing, defining mascara will plump them up. 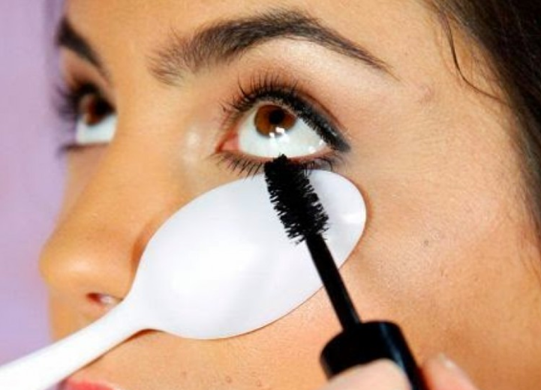 To make them even fuller apply a very fine layer of translucent powder to the lashes in between two coats of mascara. Try Youngblood Mineral Cosmetics Hi-Def Hydrating Mineral Perfecting Powder. Plump up your lips.Your lips can thin with age but there are ways to make them look full again. Pure Illumination has a clear Light Up Lip Plumper that doesn't interfere with your lip color choice. Choosing the right color for thinning lips matters. Again, avoid strong colors like red. Those can make lips appear even thinner. Peach and beige colors, lip glosses, and tawny liners make them appear fuller and more defined. Liners can help complete the illusion of fuller lips. Draw just on the outside of the lips and fill in with color, but don't to make them too rigid. Most people use the pencil to outline the lips first. This creates too much definition in the lining of the lip. Instead, use color first and then line the lip. It gives it a softer line that is still defined. If you have feathery lines around your lips, use matte lipsticks and lip liners to keep lipstick from bleeding into them. Mix a good lip balm with your favorite lip color for a glossier, more subtle look. These products are sooooo cute, I had to show you the whole group. Not only are they adorably packaged, they work fantastic! If you read Allure, Glamour, Elle or Cosmopolitan, you've already seen and heard about TonyMoly. TonyMoly is a global skin care company that uses some unconventional natural ingredients such as Gold, Goat Milk and Snail Mucin to give your skin a radiant and youthful glow. Walk into different salon lobbies. Get a feel for the atmosphere and clientele. Check out the prices for services. It's no use moving ahead if their prices are more than you can afford to pay. If you are happy with everything, then work with the receptionist to schedule a "no cost" consultation. At your consultation, discuss openly what your expectations are, show pictures of different hair styles you may be considering. Consider their reactions. See if they offer ideas you like. Don't be afraid to say "thank you for your time" and walk out. If, however, you get a positive feeling, like what they have to say and their ideas, then go ahead and book the appointment. BCC remembers with the rest of the country and honors all who died or lost loved ones that day and all of the heroes who helped that day and in the many days & years that followed. Flexible or working spray is great for holding curls, waves or flipped ends, i.e. when you want you maintain your style but still have hair move freely. 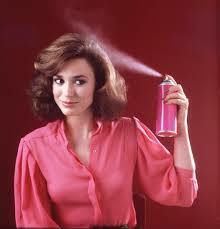 If used unobtrusively hair spray also helps against oily hair roots. This is a nice trick to know in case your fringes tend to look oily before the rest of the hair. Simply pull the freshly washed fringes over a round brush to keep the hair away from the skin and apply a small amount of hair spray. We are starting a new feature on the blog - called "Featured Brand:" as you can see (clever name, huh?). We are doing this to share with you the information and knowledge you need to make the best Choices for your beauty routine. We hope you enjoy this new feature. 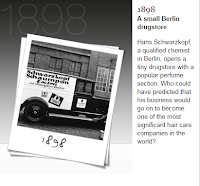 Schwartzkopf brand lines include BC Bonacure, OSIS+, and Blonde Me. Their professional products are known world-wide and are some of the best loved by salon professionals. 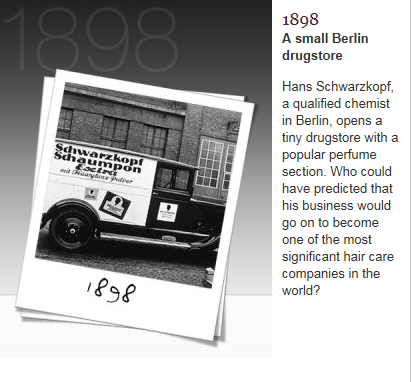 Begun in a small drug store in Berlin (see photo at left) in 1898, they are always on the cutting edge of hair care technology. Blonde Me are products exclusively designed for the extra care, light and shine to those with blonde hair so hair tone is never brassy or dull. OSIS+ is all about hair styling. Whether you like soft and flowing or edgy and sharp, you've always got the right product with OSIS+. BC Bonacure is all about repair to damaged hair. These products include shampoos & conditioners, as well as treatments and damage prevention. Schwartzkopf hairstyles are sometimes playful (Pastel Story) and sometimes edgy (Micro Fringe); they are naturally feminine (Backcomb Grunge) or rebellious (Double Square). Hair expert Armin Morbach created the styles and celebrity photographer Mario Testino photographed them. When my hair is blown dry in the salon, it always looks so healthy and shiny, but when I do it at home, I sometimes end up with a bunch of frizz and hair that looks dried out. Help! Ally: Proper blow drying is gentle on your hair and leaves your hair with bounce and luster. Make sure your dryer has an adjustable temperature (at least, hot, medium & cool) and air stream (at least, high or low). Below are some other tips that will help you get the "salon quality" blow-dry you are look for. Pay special attention to #10...it's one of the best tips and the least used! If at all possible, don't use the high heat settings of your blow-dryer. The air stream should feel comfortable on the back of your hand. Keep your distance! Keep the hair dryer at least 8 inches away from your hair. If your hair is fine you should set the air stream to low. Otherwise, you may end up with tangles in your hair. Blow-dry every individual hair strand from the roots to the ends. This technique provides smooth cuticle layers, which are the basis for healthy, shiny, and well-protected hair. You should keep the blow-dryer moving constantly to avoid applying too much heat in a single spot. We recommend dividing the hair in several portions and securing the strands with large hair clips or grips. Work your way up blow-drying your hair from the neckline to the crown of your head so that you don't hit the same strand of hair multiple times. Most of us have to somehow live with the morning rush. Whenever you must speed up drying your hair use a higher setting for the air stream, not for the heat. Always use a heat protectant. These products help prevent blow-drying damage. 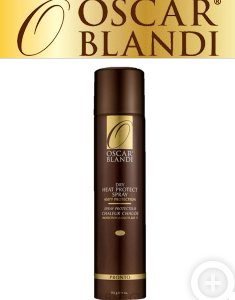 Try Oscar Bland Pronto Heat Protect Spray or Amika Heat Defense Serum. Try not to blow-dry your hair immediately after shampooing. Ideally, you should allow your hair to first dry for 15 minutes under a towel turban. This saves effort and also cuts down on the hair exposure to the blow-dryer. The diffuser attachment of your blow-dryer spreads out a more even air stream. This also prevents exposing individual strands of hair to too much heat. Once you are done blow-drying your hair, briefly apply a stream of cool air. This cooling step gives your hair more elasticity. We're just at Labor Day, and if you're like me (an internet shopper), then you've already received your first Holiday catalog in the mail! So has Beauty Care Choices... manufacturer's are already sending us their Christmas promotions and we are gearing up. 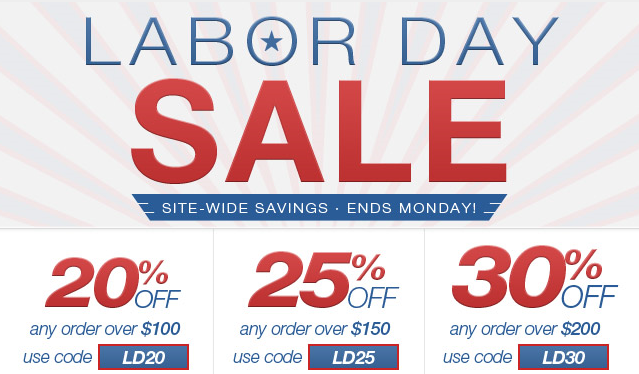 But...and it's a big savings but...you aren't going to get better deals than 30% everything - which is the sale going on this weekend when you buy $200 or more of our professional products. So...take the stress off your holiday season. Get your list out and shop away. Remember Secret Santa at the office, your neighbor, a couple of little things for surprise visitors and stocking stuffers. Take care of them all now and save BIG....you will be so glad you did come December! Redken has just introduced a new product that some of you are going to love. 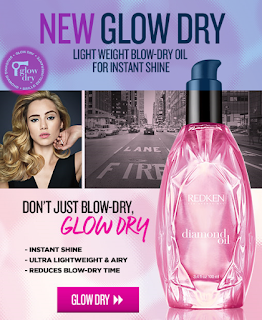 It's Diamond Glow Dry, a super lightweight oil that will add shine, manageability and softening. Why will some love it? Because it is a cosmetic oil as opposed to a treatment oil. Treatment oils penetrate the hair strand, i.e. they add strength, shine and care. They are used when hair is damaged. 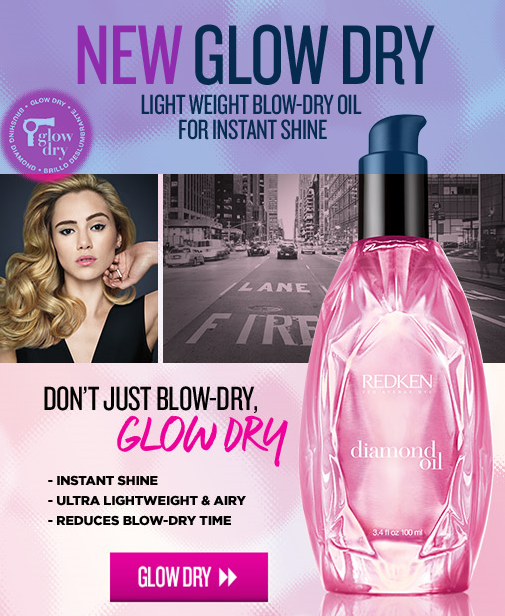 The new Glow Dry is a cosmetic oil. It's stays on the surface of the hair and is perfect to keep fly-aways, frizz and unruly hair manageable, soft and add great shine. Transforming silicones evaporate when heat is applied so blow dry times are faster too! To use: Put a drop or two in your hands and rub hands together then through your hair right after your conditioner. 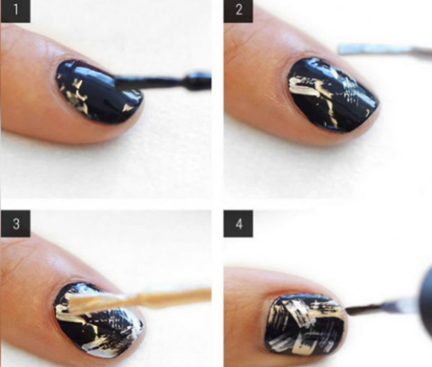 Then, once it is styled, apply a single drop to your hands, rub together and smooth through. Shine is intensified! In the past couple of weeks we've shown you Morgan Taylor's Urban Cowgirl fall selection, Essie's bright bold fall collection and now here's Zoya's. Beauty Care Choices carries Nail Polish/Lacquer from Zoya, Morgan Taylor, Venique, OPI, Nailtiques and Essie. All together there are over 500 colors available. If you are looking for that special certain color, then this is where you go! No one else has that many choices. 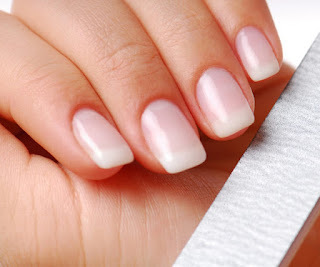 http://www.beautycarechoices.com/nails/nail-polish to see them all! 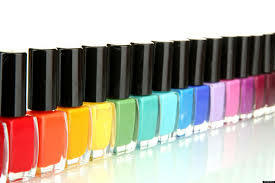 A little fact about nail polish/lacquer: Nail polish is used by most women across the world. It is not simply paint as applying paint done on wood or an automobile would be hazardous for human beings. Nail Polish was invented thousands of years ago in China to provide shine and color to the nails using different products such as egg white, wax, vegetable dyes etc. The shade of the nail polish signified the status of the person, with a darker shade implying a higher status in the society. Soon the use of nail polish spread to other parts of the world with queens of Egypt using it to feel beautiful and attractive. Only recently has the term Nail Lacquer been used. It is a quick drying liquid formation containing pigments to leave a coating on the nail that is not only protective in nature but also provides a sheen and the shade that makes nails look extremely beautiful. The main ingredient that acts like a thin film on the nails after drying is nitrocellulose. Resins and plasticizers are added to this nitrocellulose to make it resistant to water and soap. Color or pigments are added to this mixture to come up with the nail lacquer. Today there is no difference between polish, lacquer and a third term used...nail enamel. Ever wondered what hair spray is the best for your style? 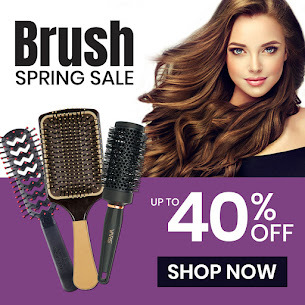 Beauty Care Choices sells the best professional hair sprays and carries all types and holds. As a matter of fact, we pride ourselves on being hair spray experts! Ally shows them to you in our little video and below that, based on sales and our best expert advice, is the top hair sprays for 2015. #1 CHI Farouk Royal Treatment Ultimate Control Workable Volume Workable hairspray delivering shine and volume plus a frizz free hold without flaking. Spot spritz for volume and detail styling or spray on damp hair and scrunch for beach waves. #2 Kenra Professional Volume Spray 16oz Workable Volume Strong holding hairspray with a natural finish. Dries fast without being sticky or crunchy. Holds volume in hair all day and can still comb and restyle if desired. #3 Goldwell StyleSign Big Finish Volume Hairspray 9.2oz Workable Volume This volume hairspray has UVA filters, moisturizers and antioxidant vitamins. Provides long lasting natural hold. Spray over your hair once styled for an all day strong natural hold. #4 Framesi BY Mist Hair Spray Strong Super Strong Ideal for working with a straightening or curling iron, this mist enhances shine and contains vitamins, anti-free radials and iron mineral salts that help strengthen hair too. 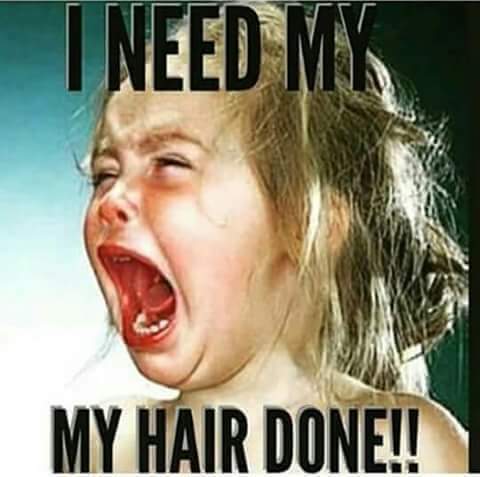 Its known for great anti-humidity and frizz free results. Super strong hold. #5 Scruples High Definition Hair Spray 10.6oz Workable Strong Hold can 10 - 12 inches from hair and spray lightly for working, shaping and styling dry hair. Reapply for a firm all over finish. The more you apply the stronger the hold. Quick drying means never tacky or wet. Great for restyling during the day, never flaky. #6 KMS California Hair Stay Medium Hold Spray Medium Blended with pomegranate and pepper this spray will provide you with medium hold and nice shine. It provides flexible brushable hold and style memory, plus heat protection and humidity resistance. #7 Matrix Vavoom Freezing Spray Super Strong Extra-firm, fast-drying hairspray that instantly locks in volume, texture and lift for dramatic styles. Great for short hair styles and updo styles. The unique water-free fomula dries instantly and holds all day. #8 Pravana Nevo Super Shape Hair Spray Workable Strong Salt-free (safe for smoothing systems), 100% Vegan, gluten-free and no animal testing, this spray has a touchable finish with a strong anti-humidity formula. #9 Joico JoiMist Firm Finishing Spray Medium/Light Light weight hairspray with medium hold perfect for fine hair because it does not weigh hair down or build up. This spray is great for straight or smooth styling. Long lasting natural hold. #10 Surface Awaken Protein Styling Spray Medium/Light Spray is wonderful for people with fine hair looking for hairspray with hold that wont weigh down their hair. The ingredients in this hairspray also work to keep your scalp healthy. Those stuggling with hair loss or fine thin hair should try this spray. #11 Redken Quick Tease 15 Backcombing Finishing Super Strong Finishing spray with 3 benefits in 1 bottle: volume, texture and control. Boost body, create lift and lock in volume. Horizontal mist designed to create lift at the roots. Great for BIG HAIR! #12 Lanza Healing Dramatic FX Super Strong Firm-hold finishing mist yet lightweight. Mist onto finished look to lock in style. Great to finish formal looks. Never stiff or sticky. Won’t crack or flake. #13 AG Hair Cosmetics Aerodynamics - Medium Fast-drying, fine-misting spray that provides a medium hold, high shine, low alcohol and now UV protection making it the ideal working and finishing spray that brushes effortlessly from the hair with zero build-up. #14 Bain de Terre Stay N' Shape Flexible Shaping Spray 9oz Medium/Light A paraben-free, color-safe working hairspray infused with argan & monoi oils that lavish hair in soft, sumptuous, silky perfection. Create flexible hold & protect against humidity. #15 NIOXIN Niospray Extra Hold 10.6oz Super Strong A firm finishing spray that provides extra hold that helps create a fuller-looking effect on hair that is fine or thinning. Helps to set your style firmly. Easy to brush out and wash out.